Play European Roulette Online for FREE - No Download! Where to Play Play European for Real Money? Roulette is perhaps the most iconic game found in any land-based casino, and this popularly has ensured that those playing online are also always looking for a slice of the action. This is why roulette tables of all different types are found at online casinos, with one of the most popular forms being European roulette. The other two popular forms of roulette are French roulette and American roulette. It should also be mentioned that the advent of online casinos has also seen a huge number of other variations developed, and whether these appeal to you depends on your personal preferences. It’s no wonder that roulette is so popular, as it has been around at casinos since the 18th century. It was invented in France, as the name implies, and slowly spread throughout Europe, before then making its way to the USA in the mid-1800s. Interestingly, roulette formed the cornerstone of the burgeoning casino business in Monte Carlo during this time. Nowadays, it is pretty much impossible to find a casino – either land-based or online – that doesn’t offer roulette in some form, with European roulette being the most prevalent. If you’ve never tried it before, why not have a few spins today? How to Play Play European Casino Game? Roulette is one of those games that’s really easy to play, but incredibly difficult to master. The basic premise of the game is that you bet on a selection by placing chips on the board, before the reel is then spun. You will then win if the ball stops on the number you have selected. Different selections have different odds, which tally up with how likely they are to win. So, you’ll win a lot more if a bet on a single number comes in, as opposed to betting on a color. Of course, you can bet on more than one selection though, thus increasing your chances of winning – but also increasing the risk factor at the same time. If you are new to the world of roulette, you might have heard of a number of tactics that can be used to guarantee a profit, such as the Martingale Strategy. It is important to remember that these work in theory, but only work in practice if you have unlimited amounts of money to bet. Therefore, it is best to completely avoid these strategies and instead concentrate on just making the bets you want to, while having fun at the same time. One thing you might be wondering is what the difference is between European and American roulette. Well, it all comes down to one simple factor: American roulette has a double zero on the reels, as well as a standard zero. This means that the odds are reduced slightly when betting on a specific colour. You should always double check which version of roulette you are playing if a site simply states “Roulette” as the title as, in the long run, you’ll win more when playing European roulette. This is perhaps the most important question that can be asked when it comes to roulette as, after all, most people’s main goal is winning some money! The answer to the question isn’t too easy to give though, as it really depends on your skill level, how long you play for, and the amount of money you are prepared to bet. In general though, the house edge at a European roulette table is 2.7%, which means that you’ll win $97.30 for every $100 you bet at the table. Of course, some people get lucky and win big, while other people don’t see any returns on the money that they bet. The house edge can be reduced if there are any special rules applied to the table, such as the la partage rule or the en prison rule. Check the rules of each European roulette table to see if these rules are in play. 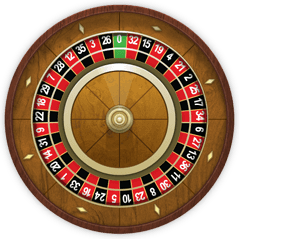 It should be remembered that roulette is perhaps the biggest game of chance a casino can offer, so therefore the amount that you will win depends almost entirely on how lucky you happen to be on the day. This is why you should only ever play with money that you can afford to lose.